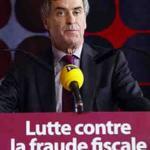 Jérôme Cahuzac, French Budget minister, resigned on Tuesday 19th March, after legal proceedings were launched against him for fiscal fraud. Bernard Cazeneuve, former Deputy Minister of European Affairs, is to take over his place in government. It is the first financial scandal to hit François Hollande's era. The greatest irony of it all is that the minister in charge of raising tax revenues and cutting public expenditures, is the one being accused of fiscal fraud. Jerome Cahuzac has been identified as having an undeclared bank account in Switzerland. Jérôme Cahuzac is seen as a champion of the law. He prides himself as defending fiscal justice and transparency. Under François Hollande’s initiative, he intended to create the 75% tax on revenues above 1 million euros. Furthermore, as an MP and President of the Financial Commission at the French Assembly, he was the one who proposed to tax French citizens living abroad. This former surgeon used to be one of Hollande's cabinet strongest elements. He denies allegations about holding a secret bank account in Switzerland and claims he had to resign his ministerial position to defend himself and avoid further embarrassment for the government. Although he has been widely praised by other members of the government, this nevertheless tarnishes the exemplary Republic that François Hollande wishes to portray. Public discourse and politics are highly questioned and the government’s popularity is rocketing down even though the judge has not yet given his verdict on this affair.